We've got your back. 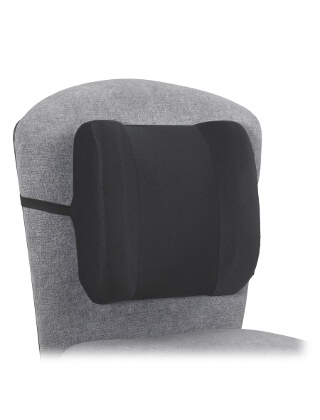 With this backrest you can provide your lower back with the support and comfort it deserves. And with its high-density medical-grade, anti-allergenic foam it will keep its shape to keep you comfortable for long periods of time. The elastic strap adjusts to fit any chair and holds the backrest firmly and securely in place. The full size zipper provides easy access to the removable and machine washable 100% Polyester velour cover.